As always, if you have any questions, need help filing your taxes, or are wondering what you will need to file, please feel free to contact Gray, Gray & Gray’s Tax Department. Fourth installment of 2014 estimated tax payments are due. Deadline for self-employed individuals to file and to pay their tax and avoid a penalty for not making the 4th quarter estimated tax payment. End of 2015 open enrollment at the Health Insurance Marketplace. This applies to uninsured taxpayers who want to avoid possible penalties on their 2015 tax returns, which are filed in 2016. 1st quarter estimated tax payments due for the 2015 tax year. Final deadline to file an original tax return (Form 1040) for tax year 2011 and still claim a tax refund, as refunds expire three years from the original due date of the tax return. 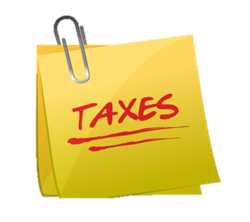 Due date for second installment of 2015 estimated tax payments. Deadline to file Foreign Bank Account Report for the year 2014. This report is required if you have over $10,000 (in aggregate) held in foreign bank accounts. Foreign Bank Account Reports (FinCEN Form 114) must be filed electronically. Extensions of time to file are not available. Third installment of 2015 estimated tax payments are due. *An extension of time to file is not an extension of time to pay taxes. This entry was posted in Tax, Taxes. Bookmark the permalink. Are You Covered? The IRS Wants to Know?